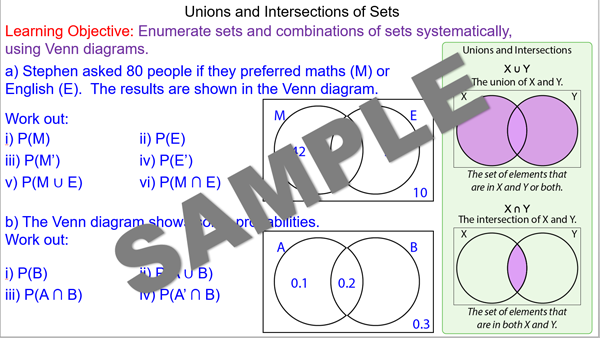 Students learn how to calculate the union and intersection of sets using Venn diagrams. 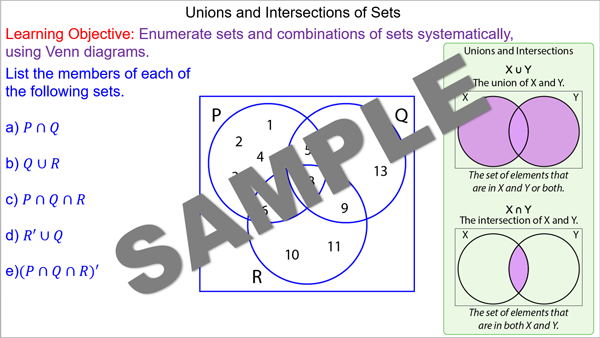 As learning progresses students are challenged to use the union and intersection to calculate a probability. 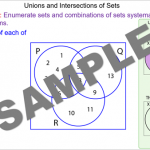 All students should be able to identify a union and intersect using set notation. 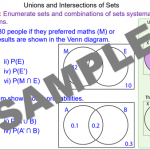 Most students should be able to calculate a probability from a Venn diagram using set notation. 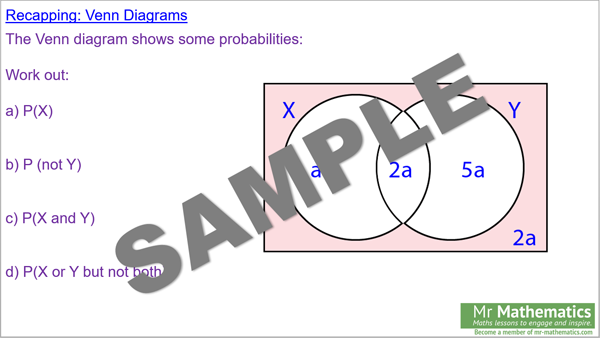 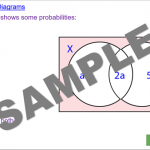 Some students should be able to use set notation with probability trees and Venn diagrams.